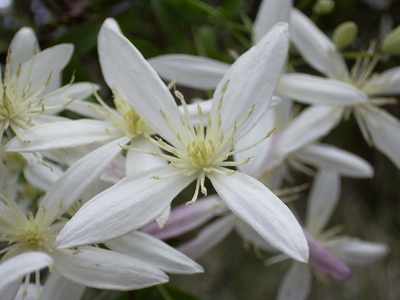 Creamy white, star-like and prolific Male and female flowerson separate plants. An important nesting site for many small birds and a source of nectar for nectar-feeding birds. Not suitable below powerlines. Separate seeds from plumes by rubbing. Fresh seed usually has good germination. 90% germination after 1 month but only 40%-50% after 6 months.